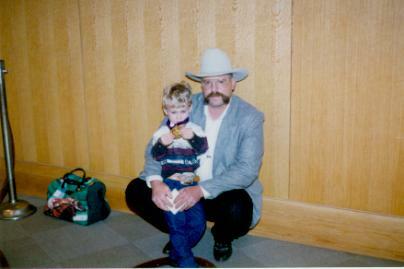 Harry Rowell was inducted into the Professional Rodeo Cowboy Association's Hall of Fame ini Colorado Springs, Colorado in 1979 as a Rodeo Stock Contractor. 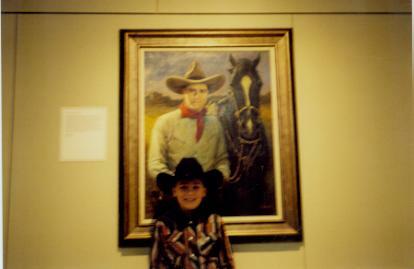 Harry Rowell was inducted into the National Cowboy Hall of Fame in Oklahoma City, Oklahoma in 1985. Harry's family was never invited or notified of either inductions, so there are no pictures or memories of these events for Harry's descendants. C.O. "Dogtown Slim" Leuschner was inducted into the National Cowboy Hall of Fame in Oklahoma City, Oklahoma on October 22, 1996, exactly one year after his death in October, 1995. He had been nominated in 1995, but missed being inducted by one vote. He died not knowing that the following year he would be inducted. His grandson Sonny and his great-grandson CJ attended the induction ceremony and accepted the induction medal. CJ spent his third birthday at the induction ceremonies. 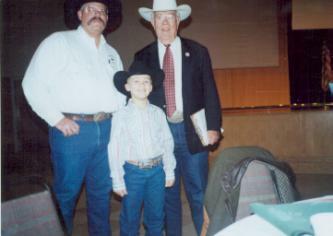 Uncle Henry Grammer was inducted into the National Cowboy Hall of Fame in Oklahoma City, Oklahoma in 2000. His induction took place almost 77 years after his death. Sonny and CJ, Henry's great-great-great nephew and great-great-great-great nephew along with Arthur Shoemaker, accepted the induction medal. Arthur Shoemaker wrote a book about Uncle Henry called "The Road to Marble Halls" which can be purchased from Amazon.com. 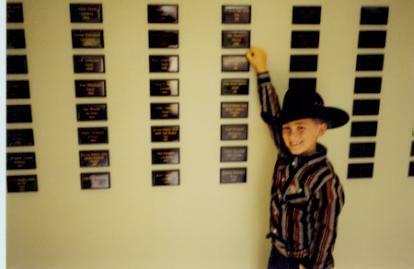 CJ spent his seventh birthday inducting another relative into the National Cowboy Hall of Fame. 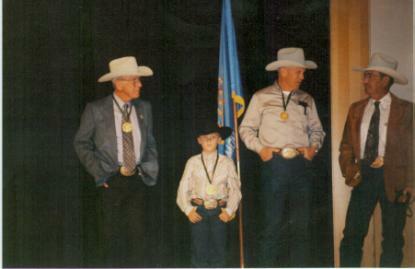 Harry Rowell's descendants are probably one of the few, if not the only family in the United States that has three descendants in the National Cowboy Hall of Fame. Harry, Bertha, Elizabeth, Dogtown and Uncle Henry made milestones in the sport of rodeo, the culture of the American West and gave new meaning to the word "cowboy" and "cowgirl". All of them lived a life style that most of us only read about or see in the movies. The Rowell Family descendants cherish the memories they have as well as the many stories that they have been told from the people who knew Harry, Bertha, Elizabeth, Dogtown and Uncle Henry. The stories along with their memories will be passed on to the next generation of the Rowell Family.